Doug Badger and Grace-Marie Turner of the Galen Institute, for example, made this claim today in a piece at Forbes, which they wrote, "[T]hough Paul has characterized Republican plans for an age-related refundable tax credit as 'Obamacare Lite,' his bill does the unthinkable: It retains the Obamacare income-related refundable tax credits." This is a gross mischaracterization of Sen. Paul's legislation. The Kentucky conservative has repeatedly said that he wants to repeal ObamaCare using the 2015-2016 reconciliation bill, H.R. 3762, the Restoring Americans’ Healthcare Freedom Reconciliation Act, as the baseline. This reconciliation bill, which passed both chambers of Congress and was vetoed by President Barack Obama in January 2016, repealed the ObamaCare refundable tax credits in Section 202. Sen. Paul has also repeatedly said that he wants to replace ObamaCare the same day as it is repealed. At issue is the House Republican ObamaCare replacement, with which Sen. Paul and other congressional conservatives are concerned. "[I]f they want conservatives on board, we can vote tomorrow on a clean repeal," Sen. Paul said last week. "And then if they want to do some fancy new government programs and big taxes — Cadillac tax, taxing health insurance policies — they can work with Democrats to pass those, but it should be a separate proposal." Badger and Turner, however, argue that Sen. Paul's bill makes amendments to the provisions related to ObamaCare's refundable tax credit. "Some have suggested that Paul assumed his bill didn’t need to revoke the Obamacare tax credits, since some other measure would repeal them. That just doesn’t add up," Badger and Turner wrote. "Not only does the bill fail to repeal the Obamacare credits, it actually makes what it characterizes as a 'conforming and technical amendment' to them. It would be pointless to amend a provision you’d assumed was destined for the landfill." The authorization for ObamaCare's refundable tax credits in the 2015-2016 reconciliation bill would have expired on December 31, 2017, two years after the bill would have been enacted had President Obama not vetoed it. Sen. Paul assumes the same two-year delay in the expiration of ObamaCare's refundable tax credits. Because Sen. Paul's bill makes the tax deductibility of insurance available to individuals immediately, the "conforming and technical amendment" is necessary to prevent double-dipping. FreedomWorks supports the ObamaCare Replacement Act because it promotes patient-centered reforms, including the tax deductibility of health insurance for individuals and the expansion of health savings accounts, that we believe should be at the heart of any repeal and replace effort. The bill is completely contingent on the passage of the 2015-2016 ObamaCare repeal bill. 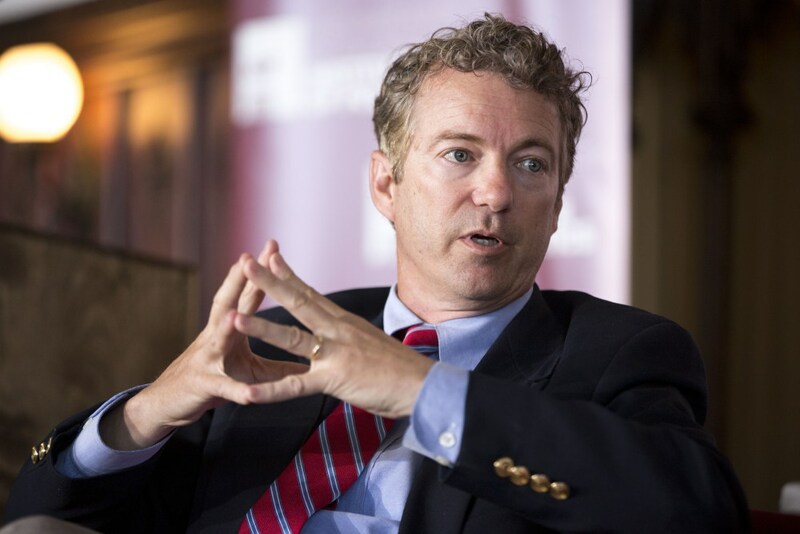 One can disagree with Sen. Paul's strategy, but no one should question his intent. Gee, who would have thought that gop hacks would attempt to trash Sen Paul & his plan. I am SICK of these lying, treasonous politicians and their surrogates! Time to throw out the trash while draining the swamp!! !